This slideshow contains 4 slides that will change every 6 seconds. The first button is to play and pause the slideshow, followed by buttons to go to the previous slide, next slide, or choose individual slides. 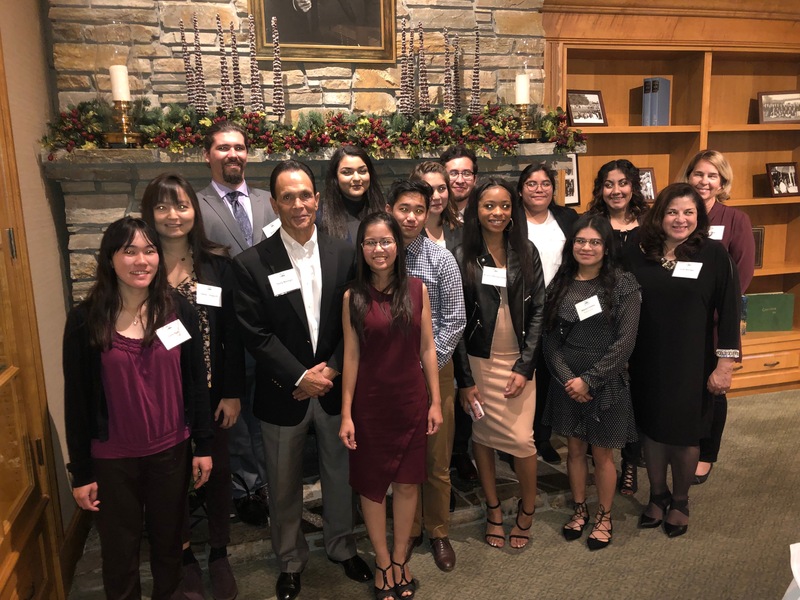 Dining with Broncos is a fun, social event that connects students and alumni. 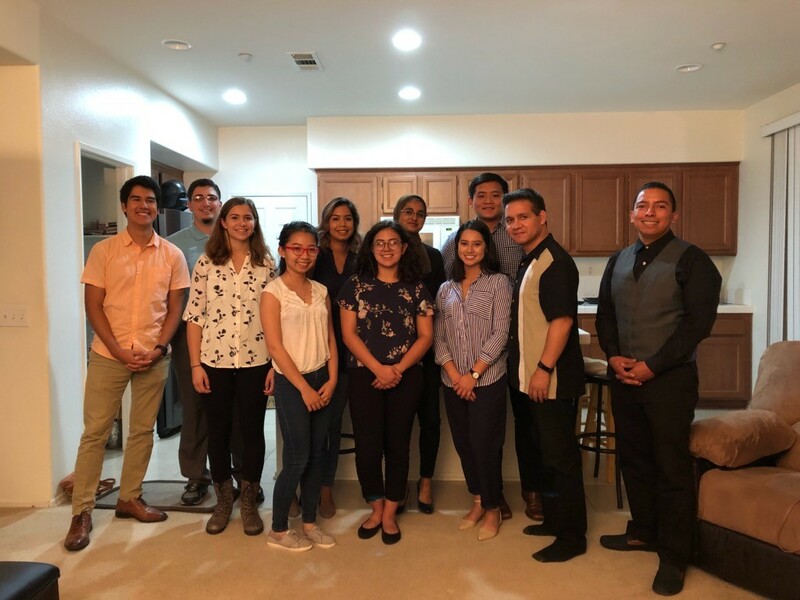 Our alumni are asked to host dinners for a group of students in their homes or at a restaurant. The dinner can be as formal or informal as you like. 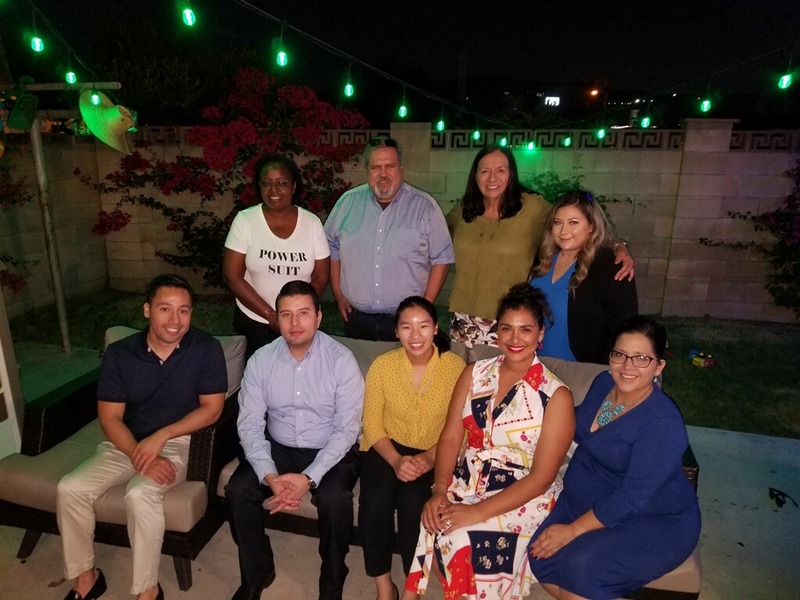 Discussion is nonspecific, but dinners may be organized based on various characteristics including but not limited to major, career field/interest, hobby, or geographic proximity. 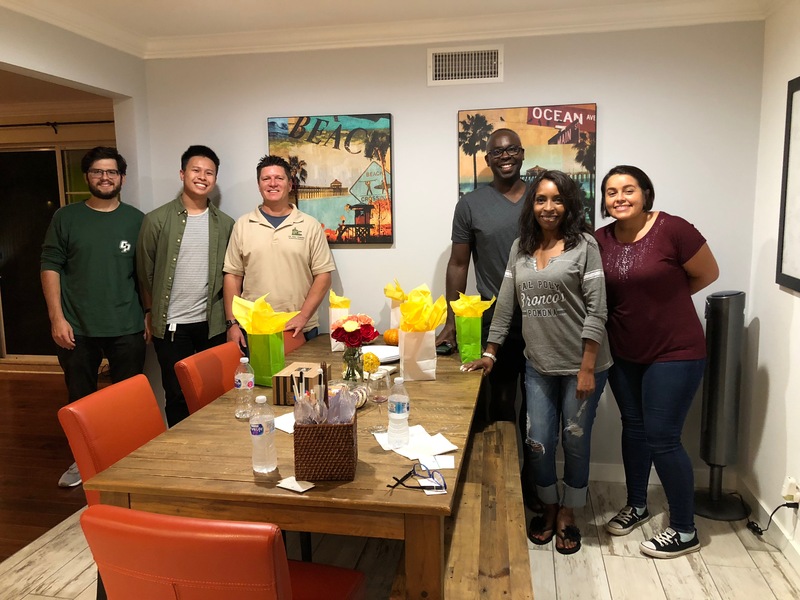 The Dining with Broncos Program offers a social/networking opportunity for Cal Poly Pomona alumni and students, by providing nonacademic interaction in an informal setting.